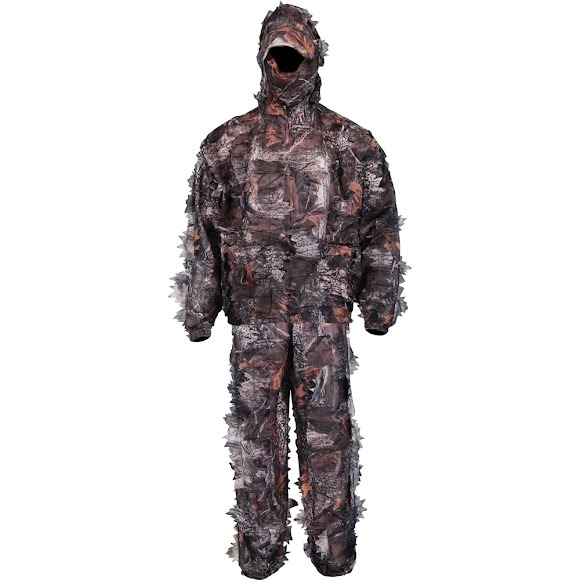 Stay hidden on your next hunting adventure with help from the 2-Piece Camo Leafy Suit from World Famous. The suit includes a hooded jacket, pants and mask in TimerStrike™ camo for complete consealment. Designed with scent free, ultra lightweight synthetic polyester for superior mobility and breathability. awesome deal! told my friends to order one.